This summer I began to think about the children who would begin attending worship with their families. I wanted this to be an exciting and positive experience for children and for their parents. I remembered an article I read several years ago in LifeWay’s INministry magazine. The article was titled “Camp Big Enough.” Camp Big Enough is an event offered to children to introduce them to worship. I loved the idea and decided this was the year. 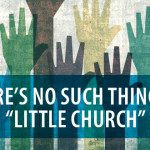 I’m finding several churches offer Camp Big Enough and have tweaked it to meet their needs. I used the concept and developed our own Camp Big Enough. We created a logo, fliers, and postcards to advertise our event. The children were given a Camp Big Enough t-shirt as they arrived. We divided the children and their parents into three groups and rotated through the following three activities. Memory Game: We used photos of the ministers and musicians to introduce the children to the people who would lead out in worship. 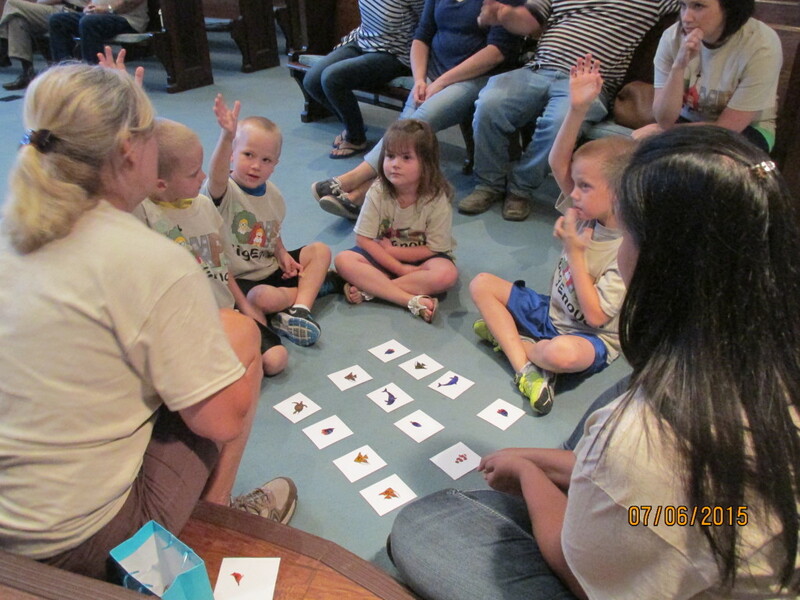 Scavenger Hunt: This activity was used to introduce children to the worship center. Children were given a set of word cards and worked with their parent to locate the following: baptistry, pew, stain glass window, balcony, musical instrument and altar. 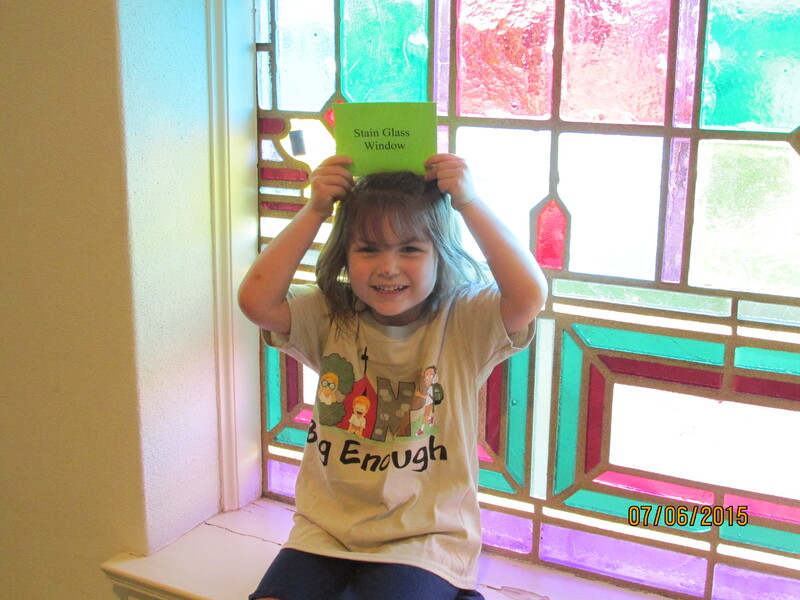 We encouraged parents to take pictures of their child holding the card at each of the locations. 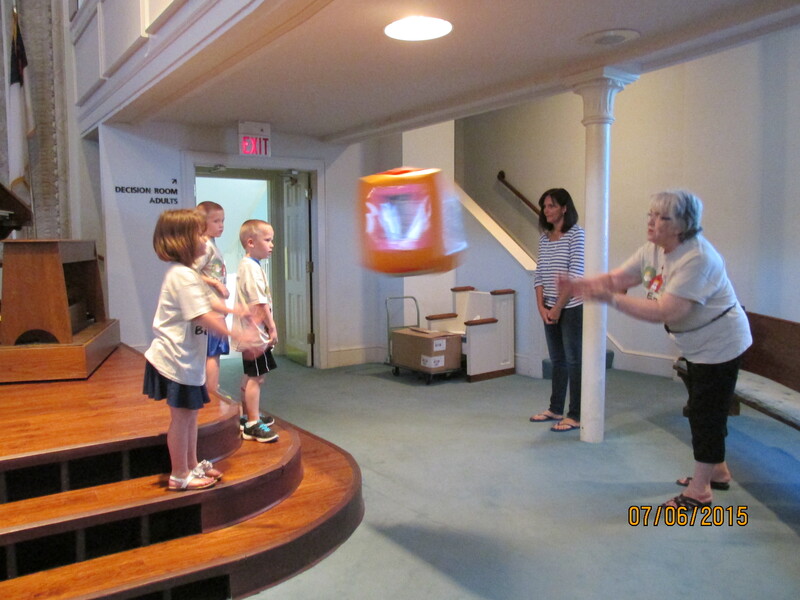 Inflatable Game Cube Matching Game: This game was used to introduce children to objects used in worship. Photos of each of the items were placed in the game cube pockets and the children played a tossing game to match the photos to the actual objects. 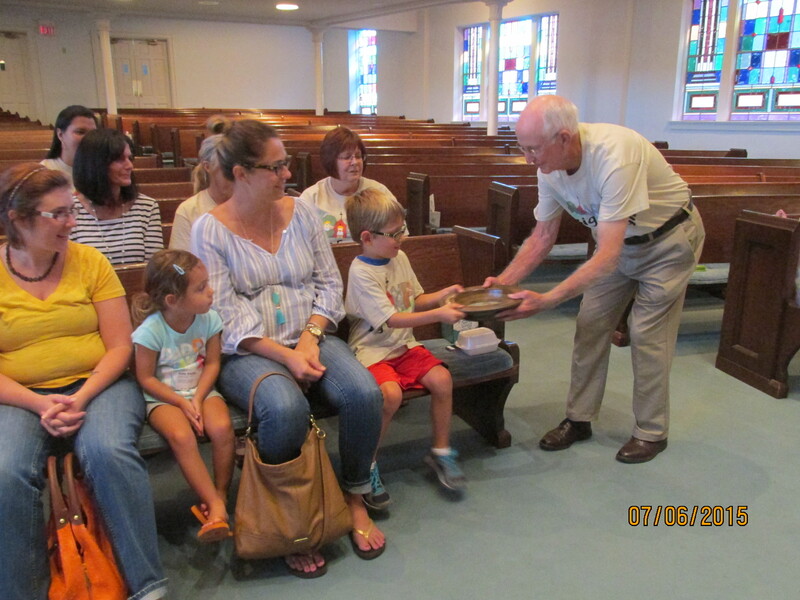 The objects used were: hymn book, Pew Bible, microphone, Lord’s Supper serving trays, baptismal robe and an offering plate. We concluded our camp time by giving each child a quarter and explaining how to pass an offering plate. As music played, the children passed the plate and put in their money. We closed our evening with prayer. All who participated enjoyed the evening. We believe Camp Big Enough was a success! Debbie Miller was born in Berkeley, California and now serves as Minister to Children at First Baptist Church, Muskogee, OK. Debbie desires to come alongside parents in laying spiritual foundations that prepare children to know Jesus is a personal way. She and her husband Doug have 4 children and 3 grandchildren and love spending time with them enjoying homemade tacos and blackberry cobbler!